The MinusA2 with BioGS HEPA technology was built with versatility in mind. At a mere 7 inches in depth, it does not interfere with your personal style and is virtually silent in sleep mode to ensure a peaceful night's sleep and maximum efficiency. With a six-stage air filtration system and a selection of four customized filters, (Pet Allergy, Germ Defense, Toxin Absorber, and Odor Remover) the MinusA2 is designed to accommodate a wide range of allergies and sensitivities. 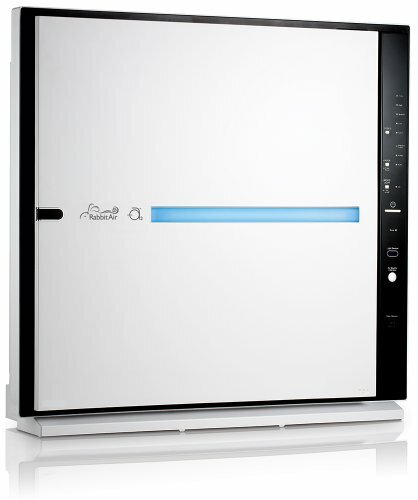 A long-lasting filter system and energy efficient design make the MinusA2 incredibly affordable to maintain. Just vacuum the surface of the pre-filter once a month and change the filters every one to two years. Designed either to stand alone or be mounted on a wall, the MinusA2 air purifier is a versatile and attractive addition to your home or office. While bulky, unsightly purifiers are often hidden out of view, behind couches and inside closets, the MinusA2 is a slim, stylish model which complements home décor while improving the air you breathe and eliminating harmful toxins. Customized filter option of your choice and includes FREE wall-mount kit. If you have any questions about this product by Rabbit Air, contact us by completing and submitting the form below. If you are looking for a specif part number, please include it with your message.